Creative entrepreneurs joke that the best way to build a creative business is to work with people you don’t like! One of the most powerful lessons of the creative world is that a diversity of thinking is the best way to come up with truly innovative ideas. The basic unit of sustained innovation is not a creative individual, nor even a team, but a creative community with a cause. We think that innovation comes from brilliant individuals and in a way it does, but the lesson of these examples is that the most effective innovators build creative communities and provide them a cause. Communities rather than individuals are the basic unit of sustained innovation. That is because innovation invariably stems from creating new recipes, new ways to blend old and new ideas and resources to create new technologies and solutions, products and services. Those combinations usually come from people with different ideas, knowledge and insights finding one another and coming together. Out of their conversations and collaboration come new mixes and blends. That kind of fluid combination is often incredibly difficult in organisations where hierarchy stifles communication and rules inhibit the ability to form teams. Small organisations often lack the diversity of skills to come up with complete new solutions, all on their own. Often they have a vital ingredient but need other ingredients from partners to make the recipe work. That is why sustained, successful innovation usually comes from within communities that can assemble all the necessary skills for the complex task of taking an idea from the drawing board and into the real world where it can be used. Communities sustain innovation because as they share ideas they can mutate and grow, especially at they adapt to new conditions. But they can also be defensive bastions of parochial conservatism. What do they need to become creative? First, the members have to be reasonably skilled at what they do: they must have something to contribute. Second, the community needs a diversity of skills, knowledge and outlooks. A community made up of people with the same background, view of the world and knowledge, will come up with very similar solutions. That helps to explain why companies dominated by male engineers often fail to come up with novel ideas. Third, a creative community is curious and outward looking, drawing in new ideas and seeking out new challenges. Groups with diverse skills and outlooks come up with innovative smart solutions more often than groups of very clever people who share the same outlook and skills. The more vantage points there are from which a complex problem is seen the easier it becomes to solve. A group of experts who think in the same way are probably no better at devising a solution than just one of them. Adding more people who think in the same way is unlikely to improve a group’s ability to come up with different solutions. Diverse viewpoints are likely to generate more possible solutions and evaluate those solutions from wider range of vantage points, so spotting potential flaws. The challenge however is how to organise such a creative, curious and diverse community. Here hierarchies, rules, targets and bureaucracy are completely useless. The most effective way to organise a creative community is to ensure it is drawn together and motivated by a cause. Communities get organised by the laws of attraction : people are attracted to one another and to a cause they share. Having a shared cause provides people with a sense of momentum and purpose. There is nothing like a simple “cause” uniting the creative community in a city such as London, for example, but creatives in the city are united by wanting to sustain the freedoms and community which make them creative. There is a commitment to the city as a way of life that sustains creativity, and the values that sustain that way of life, cosmopolitan, open, curious, tolerant and meritocratic, are becoming ever more important to stand up for. So the fundamental unit of sustained innovation is a creative community with a cause. If we want a more innovative society we need more such communities. What are the implications of that for individuals, cities and governments? One implication is that education should be redesigned to ensure young people develop the kinds of social, emotional and intellectual capabilities they need to form, contribute to and lead communities of this kind. Schools should be creative communities with a cause; too often they are places where children go to be processed along a pointless production line of tests. The implications for organisations are no less profound. Most organisations see themselves as hierarchies of power and position rather than communities of ideas. Companies will be innovative only if they can foster a sense of creative community. Creative communities with a cause, movements, propel big political changes; the civil rights movements, the movement for women’s suffrage and changes to legislation and welfare, the rise of trade unions leading to fairer employment legislation in the 19th century and the welfare state in the 20th. Yet most of the time the state seems more like a monument than a movement. This all comes together in cities, the focal point for creative communities. There is no finer example than London. The people gathering in London from all over the world are creating a highly cosmopolitan, civil, convivial, safe and largely self-governing city, in which their difference generates a flow of dividends in the form of new ideas in culture, work, entertainment, and business. The very weakness of London’s patchwork state with an elected Mayor, a citywide Greater London Authority and 32 boroughs, each with its own elected council, means that the main business of governance in London is transacted by citizens themselves, with one another. London stands for an ideal of a self-governing, creative community. Protecting that sense of civic self-governance, being part of the daily drama of the city: that is the city’s cause. So if you want to be a successful innovator make sure you are part of a creative community. Don’t get isolated. Always stay connected. You will not win unless you can pass the ball. Find people who share your cause. 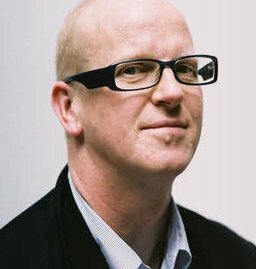 Charles Leadbeater is the author of numerous books and papers on creativity and innovation.